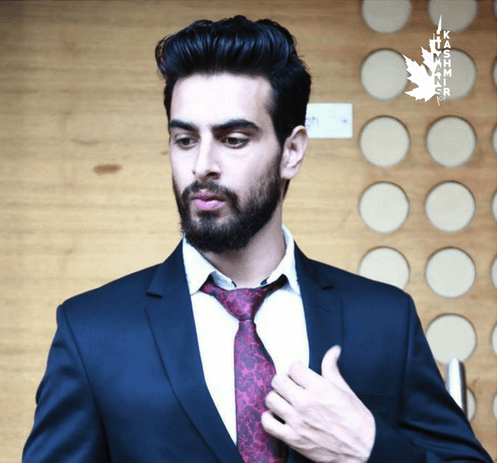 Peerzada Aaqib, 23 year old engineering graduate is all set to make his appearance in Bollywood movie, ‘Maqam’. Sharing screen for the very first time with national sensation, Tom Alter, this young actor and learner aspires to work further on many projects. His big dream is to work as a film-maker and he’s seeking this purpose to write stories and depict Kashmir in his works. Aaqib belongs to Anantnag and is an alumni of St. Lukes Convent School. Currently pursuing his MBA from AIMS Institute, he is at present based in Pune. His first experience with film-making goes back to 2014 where he wrote a short-story “Mere Yahan” outlining the divergent lives of people in Kashmir. He was later cast as an actor as well in the same story. It was his first amateurish, non-specialist attempt at movie-making. Aaqib completed his B.tech in Civil Engineering from Sinhgad College, Pune. He was the runner-up of Clean and Clear fresh face, 2015, a show hosted and sponsored by Pune times. 2017 served as the kick-start of his YouTube channel, Light Bill Media; an endeavour to share stories and struggles of common people. ‘The chase’, a zero-budget short story shot in the outskirts of Islamabad embarked the beginning of his YouTube channel. Since then, Light Bill has shared many unplugged music covers and videos of various artists.